Our exclusive dhtSENSOR Hair Loss Treatment and Prevention program is an easy-to-use, clinically-tested hair loss prevention and treatment program. It is clinically tested and designed to help control excessive hair loss, improve the quality and condition of your scalp, minimize hair loss, enhance the appearance of thin looking hair, and stimulate hair growth. In carefully controlled clinical studies, when used as a complete program, dhtSENSOR was shown to increase the percentage of Anagen (growing) hairs in 80% of test patients. 100% of the test group had substantial increases in hair shaft diameter and had larger, more deeply rooted hair follicles. 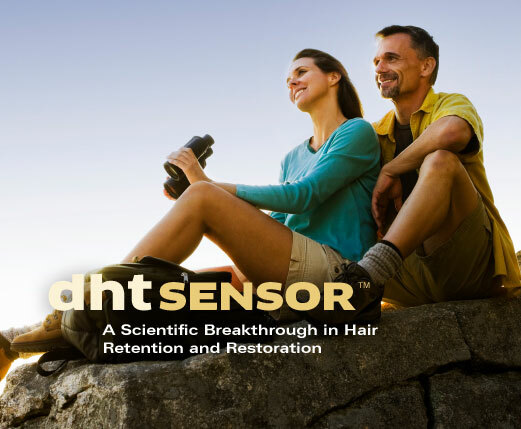 dhtSENSOR is available exclusively in the Surfside Beach, South Carolina area only from Hair Quarters Hair Replacement. The Enzyme Complex Concentrate took years of development and testing to perfect the micro-emulusion delivery system allowing the enzyme molecules to penetrate the scalp. The Enzyme Complex seems to balance the CO2 radicals in the splitting of amino acids, contributing significantly to protein synthesis while metabolizing both carbohydrates and fat. One positive side effect of this action is that the Enzyme Complex appears to block the build-up of cholesterol and excessive concentrations of testosterone, suppressing its conversion into dihydrotestosterone (DHT), the most common cause of hair loss. DHT Sensor’s shampoo and conditioner have their own exclusive formulations. They volumize the hair from the very first application while thoroughly cleansing and conditioning the scalp and hair, establishing the foundation for healthy hair growth. They are available as part of the complete DHT Sensor program, as well as individually. The DHT Sensor Vitamin/Mineral Compound provides all the necessary vitamins and minerals for healthy hair growth, including ingredients which have been proven to help inhibit the negative effects of 5 Alpha Reductase activity in the skin, a known cause of hair loss. Results Supported by Clinical Studies. Clinical Studies were performed by a leading Trichology Research Clinic. Once it was determined a patient genuinely had excessive hair loss, they used the complete dhtSENSOR program daily and were reviewed in the Clinic monthly. Anagen (growing)/Catagen (dormant) ratios, hair shaft diameters and hair follicle size and depth were all carefully documented and research continued for a six month period. LIVE LIFE ON YOUR OWN TERMS. Now it’s easier than ever to get expert advice and answers to your particular hair loss questions and concerns. Our caring, confidential approach to treatment provides clients with the ability to make a fully informed decision on which treatment options are best for their particular type of hair loss and lifestyle. Fuller, shinier, softer, thicker looking hair. For post-operative transplant surgery, laser treatments has been shown to help newly transplanted hair to thrive and enhances the healing process. Repairs damage normally caused by salon chemical services. 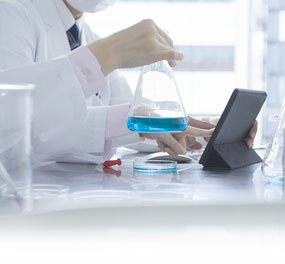 All dhtSENSOR products are formulated by cosmetic chemists and are blended and filled by FDA approved laboratories to further assure the safety and and quality of each product in the DHT Sensor program. As part of dhtSENSOR’s hair loss control studies, skin penetration tests were performed by the Dermatology Department of a major California University. This study documented that dhtSENSOR’s unique micro-emulsion delivered more than 3,000 micrograms per daily application of Enzyme Complex directly into the scalp and hair follicle. Take the first step to a new you.  Schedule your free, confidential hair restoration evaluation today. Our image consultants are also clients so they have truly “been there” themselves. To learn about the solutions available to you, call us today at (843) 238-1089 to request more information or book your free, confidential hair loss consultation today.